A comprehensive list of generally asked questions and information, that you may find useful. Many of the housing solutions Roland Realty offers have excellent utility packages included, but every building is different. Contact a Roland Realty leasing agent for additional details. You can also find the included utilities in your lease. Rent is due the first day of each month. There are a variety of options when paying. First, you can pay online with a credit card or do a direct with-drawl from your bank account. Second, you can bring a check, money order, or cash into our office located at 901 S. First Champaign, IL 61820. Check and Money orders can also be mailed in to that same location, just make sure to put the tenant’s name and apartment address somewhere on the check (preferably on the memo line). We cannot accept credit card over the phone or in the office. When do I have to pay for my parking? Payments for parking will be done in two installments. Half the total amount will be due on September 1st and the second half will be due on December 1st. However, if you are not a current tenant of Roland Realty the entire amount will be done upon signing the parking agreement. Yes. Tenants can access their apartment accounts online by visiting Roland Realty's webpage at www.Roland-Realty.com and clicking "Pay Rent" at the top of the page. This link will direct you to our payment portal, where tenants can access their accounts 24 hours a day by entering their birthdate. There are a variety of payment options, each with its own transaction charges, so please review these carefully and choose the option that's best for you. Why do I have to pay rent before I move in? because there is one lump sum that the owners of each building would like to receive annually in rent. To make things as easy as possible for all parties we divide this lump sum into 12 equal payments. For those of you on an August to August lease you will make 12 equal payments, with the first being August 1st and the last being July 1st. Then, for those of you on June to June lease you will also make 12 equal payments, with the first being June 1st and the last being May 1st. Depending on the building in question, certain types of pets are allowed. Most of our buildings allow fish or caged birds. If tenants desire a dog or cat, it must meet the following criteria in order to be considered: 1) adult, 2) spayed/neutered, 3) housebroken. Permission for these and other types of animals must be sought from Roland's management staff before being brought on premises. Please see a Roland Realty leasing manager for details about what buildings can accommodate certain types of pets. Roland Realty is committed to ensuring the health and safety of all our tenants. However, crime has no address and at all times, you must take an active role in securing your home, property, and most importantly, yourself. Roland Realty –makes no representations or warranties that the premises are secure from theft or any other criminal activity perpetrated by any resident or others. Security officers, to the extent that they may be on the premises, and other security facilities provided, are primarily for protection of property. Roland Realty can not guarantee the effectiveness of any such security officers or facilities as a deterrent against any criminal activity, damage, or injury to resident or any guest/visitor and their personal property. Residents or guest’s personal property and vehicles are not insured under the apartment lease agreement unless due to management negligence. We strongly recommend that residents purchase insurance against loss or damage due to fire, theft, vandalism, rain, water, criminal negligence, etc. Renter's insurance is relatively inexpensive (typically less than $20/month) and can often be secured through your automobile insurance carrier (first check your parent’s home-owner’s policy). What if I need to break my lease or don’t return for the spring or summer semesters? Unfortunately, Roland Realty does not offer any voluntarily means of breaking or prematurely terminating a lease agreement once it's been signed. A tenant's best course of action in this situation is to find a suitable replacement tenant, or subtenant, to take their place during any duration of the lease for which they no longer have the need. 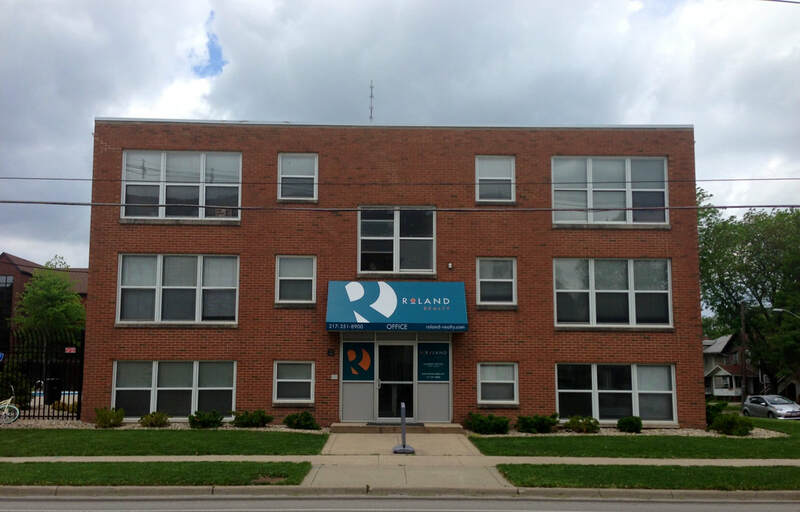 Tenants can contact the Roland Realty leasing office for details about the subleasing process and/or information about how Roland can facilitate in the subleasing process. Non-emergency service requests can be submitted in any of the following ways: 1) reporting a maintenance request in person to one of our leasing staff during our hours of operation; 2) contacting the leasing office by phone during business hours (or by leaving a message on our afterhours voicemail); or, 3) submitting a request online at www.roland-realty.com/. Our goal is to respond to work orders within 48 hours! In an emergency situation, contact the Roland Realty leasing office by phone to report your request directly to a staff member. For emergencies occurring outside our hours of operation, you may leave a message with our 24 hour emergency answering service anytime of the day or night by calling our office line and directing yourself to the emergency prompt. Examples of emergency situations: water leaks, single inoperable toilet, power outages, non-functioning heat or A/C during weather extremes, non-functioning refrigerator, gas leaks, or fire. Resident mail is processed and delivered by USPS personnel to your designated unit mailbox. At time of move-in, the Roland Realty staff will issue a mailbox key to each resident for ease of access. Upon move-out, should you wish to have your mail forwarded, you will need to complete a Change of Address Form with the local post office (the community office often has these handy). The Roland Realty staff will accept packages and they can be retrieved during business hours with proper ID. What type of parking is available at your building? Many of Roland Realty's housing solutions offer parking, but not all buildings do. Contact a Roland Realty leasing agent for building-specific parking details. What is “by the bed” leasing? bedroom. Tenants with individual leases are individually accountable for rent and/or damage to their bedroom. Tenants have the freedom of selecting their own roommates to fill out larger apartments, or have the option of enrolling in our Roommate Matching Program.